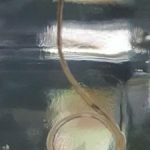 Is Worm Wiggling In Toilet Horsehair Worm or Parasite? We are missing a piece of crucial information: when exactly she discovered the worm. Did she find it when she opened the toilet lid prior to using the toilet, or did she notice it after she had already used the bathroom? This is really important to know. 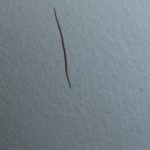 If she found the worm after using the bathroom, then it might be a parasite, since it does have the thin, stringy look. If she noticed the worm before she used the toilet, then the worm was probably already in the toilet and therefore didn’t come from her body and is likely not a parasite. 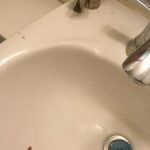 We think she probably noticed the worm before using the toilet since the water is clear, which means she didn’t flush. 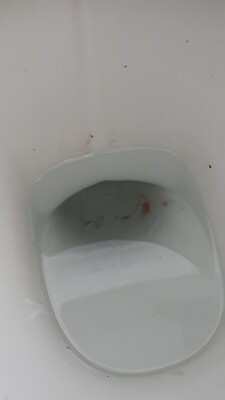 In addition, if she flushed the toilet then she would have flushed the worm down as well and wouldn’t have been able to take a photo. So, we think she likely discovered the worm when she lifted the lid of the toilet but before she actually used it. Therefore, we don’t think this worm is a parasite. 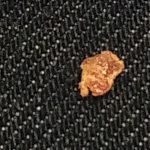 (Of course, if our reader is truly worried about her health or does believe this worm came from her body, then we recommend she see a doctor since we are not licensed to give medical advice of any kind.) We think the specimen she found swimming in her toilet could be a horsehair worm. Adult horsehair worms are free-living organisms, but their larvae are parasites. They live inside the bodies of arthropods until they eject themselves out into a body of water, killing their hosts in the process. So, an infected arthropod, maybe a beetle or cockroach, might have been the host for this horsehair worm. We aren’t 100% convinced that this is the correct identification, but we think it is a definite possibility. We recommend that our reader just flush the toilet (if she hasn’t already) and move on! As long as she doesn’t continue to find mysterious worms in her toilet, we don’t think she has anything to worry about. 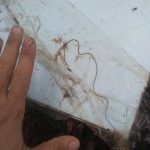 To wrap up, we think the thin white worm our reader found in her toilet could be a horsehair worm. 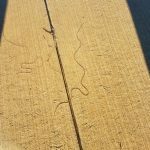 These worms are not harmful or dangerous towards humans! Of course, if we are wrong about when she discovered the worm in her toilet, and think there is any possibility that the worm came from her, then she should seek medical attention immediately. 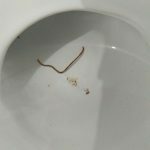 We think the thin white worm our reader found in her toilet could be a horsehair worm. 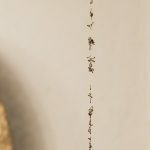 These worms are not harmful or dangerous towards humans! Of course, if we are wrong about when she discovered the worm in her toilet, and think there is any possibility that the worm came from her, then she should seek medical attention immediately.